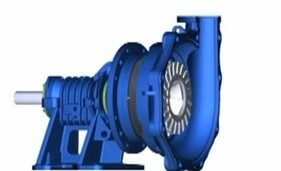 A pump used to process and move waste fluids with high solids content. Sludge pumps require a high-powered mechanism to move fluids that are often very heavy and sometimes viscous and full of volatile or corrosive content. They are commonly used in municipal sewage treatment applications, as well as in mining, construction, agriculture, or industrial applications in which heavy waste fluids are processed. This machine tool is used in the drilling and operation of boreholes to raise liquids, sand, and sludge to the surface. 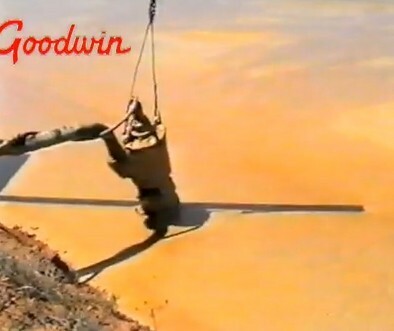 Boring sludge pumps consist of a hollow steel barrel or pipe, which has a shackle in its upper part that is used for connection to a cable or a rod and a valve in its bottom. Such pumps are used in percussion drilling without flushing for cleansing the borehole face of rock crushed by the bit or of sludge, as well as during boring in sand, quicksand, and gravel. 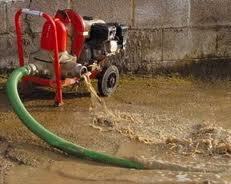 In percussion drilling for water, sludge pumps are used for experimental pumping and for priming. 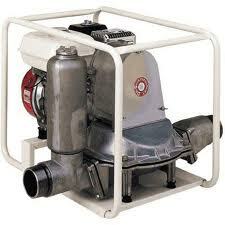 Piston and clamshell sludge pumps are used in prospecting for field deposits.